The Canterbury is defined by the elegance of its curves. 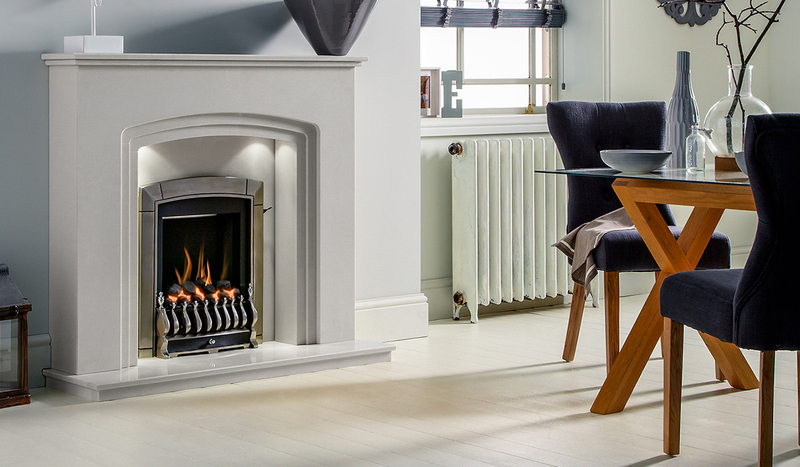 An intricate triple arch with a matching lipped hearth and double shelf creates a truly stunning surround. The Downlights enclosed behind the Canterbury’s arches only add to its sense of spectacle. Coupled with one of our Inset Gas Fires or Inset Electric Fires and this surround can make an effective focal point to any room.